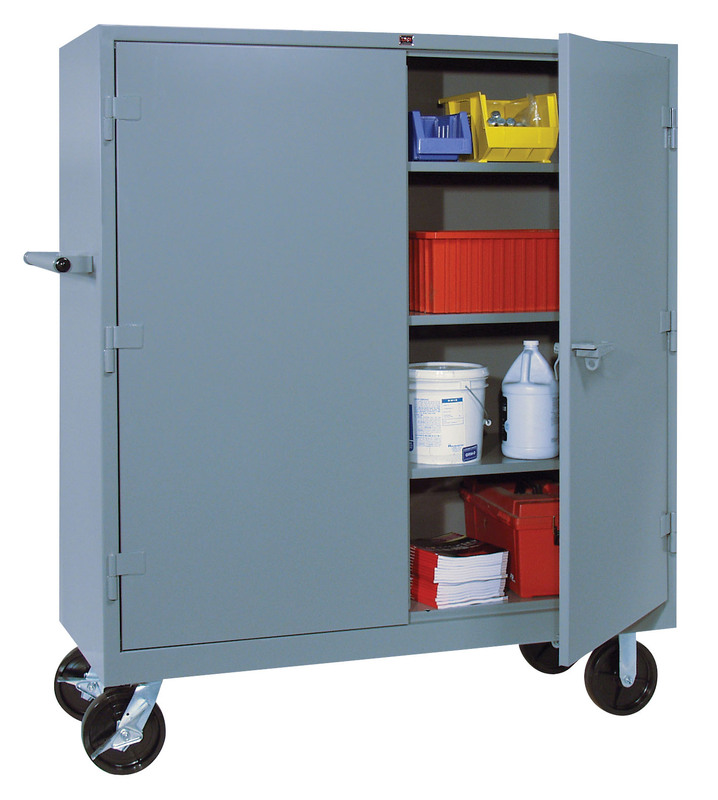 Heavy duty storage cabinets by Lyon are one of the most popular all welded storage cabinets because of their durability and 14 gauge all welded design. Browse our extensive selection of Lyon heavy duty storage cabinets, including Clearview cabinets with see through door panels, extra wide steel storage cabinets, 4-Door metal cabinets and many more. These Lyon cabinets are top quality and heavy duty, guaranteed to last. Most styles include a rugged cast iron handle with 3/8” thick padlock hasp and heavy duty 5/16” diameter steel pin hinges securely welded in place The all-welded construction makes the Lyon metal storage cabinets with doors a favorite amongst our customers. Please call 1-800-325-5522 if you need assistance choosing the correct Lyon storage cabinet for your heavy duty storage cabinet application. Lyon Heavy Duty Welded Cabinets at New Lower Sale Price! More sizes and styles available, please call 1-800-325-5522 for a quote if the cabinets you are looking for are not listed here.